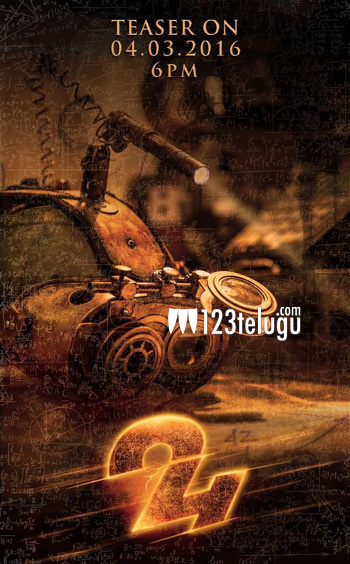 Shriya’s 24 is making all the right noises in the run up to the release. The film’s teaser will be out on March 4th and the team has been putting out a series of promotional posters to promote this date. These posters have been designed very well and they are adding to the curiosity around the film. The movie is said to be a suspense thriller and Suriya’s performance is expected to be a major highlight. Directed by the highly acclaimed Vikram Kumar, the film has music by A.R. Rahman. Samantha and Nithya Menen will be seen as the heroines in this movie. 24 is being produced by 2D Entertainments and Studio Green banners. The film will release simultaneously in Telugu and Tamil this April.